We are renowned manufacturers and suppliers of hot & cold rolling mill machines, parts & components that have gained appreciation for optimum performance and longer service life. Our range comprises reduction gear box, cold rolling mill machines, flywheel assembly, roller conveyor, forged rolls, speed increaser and hot saw machine. Designed with the assistance of our engineering excellence, these easy to operate and install machines can be customized as per the clients specific requirements. 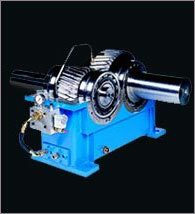 We are amongst the renowned manufacturers of reduction gearbox that works with great accuracy and are highly reliable. 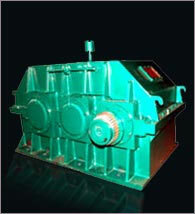 These torsionally rigid steel fabricated gearboxes are designed to dampen vibrations. 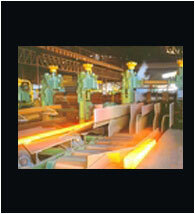 Made using En-9, 19, 24 quality steel forgings, these are duly hardened & grounded and work efficiently at peak loads. 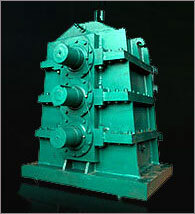 Available in single, double and multi stage reduction gearboxes. We are one of the leading manufacturers and suppliers of flywheel assemblies that are designed as per international quality standards. Sturdy in construction, flywheel assemblies are dynamically balanced and ultra sound tested to assure these are free from any cracks. 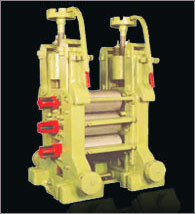 Renowned for durability and excellent finish, these find wide application in hot rolling mill. We are engaged in offering quality range of speed increasers that offer greater rigidity, accuracy and help improve machine productivity. 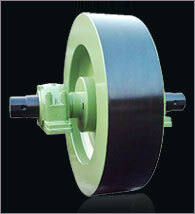 Equipped with hardened and ground steel gears, these help minimize noise and vibration during operation. These speed increaser enables easy connection of a diesel engine to compressor, or fan, drive pump, with the input engine speed to be changed to different output speed for the connection. We take utmost care in designing and manufacturing these machines, as they often involve high speeds that may create problems in gear dynamics. We have in store for our clients a range of pinion stands that is available with pinion like spur, helical, double helical and crown. These heavy-duty stands are available in different capacities, which are suitable for varied gear sizes. Renowned for increased power density, these stands are highly useful for designing heavy loads in sugar, cement and mine industry. We are engaged in the manufacturing of steel rolling mill stands that has gained appreciation for international quality standards. Compact and simple in design, these are used for the rolling of wire rods, TMT, light medium heavy sections steel up to 50 MT per hour production of ferrous and non-ferrous metals. Available in CI casted, MS casted & steel fabricated, these steel rolling mill stands can be customized as per the clients specific requirements. 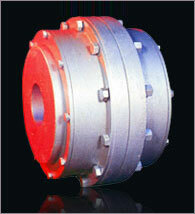 Our clients can avail from us a range of gear couplings for hot roll steel plants. Fabricated using finest grades of enforged steel, these are available in the size range of 106 to 112 and are suitable for 6" to 24" PCD rolling mills. We even custom make these couplings as per the clients specific requirements. We offer heavy duty sprockets especially designed to perform under the most rugged working conditions. 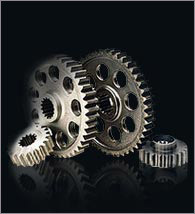 These sprockets are accurately made by hobbing, machining and drilling using computer controlled equipment. The innovative design minimizes breakdowns and reduces the power consumption, resulting in high productivity. Our range of sprockets are available in different material and dimensional specifications at the most reasonable prices.